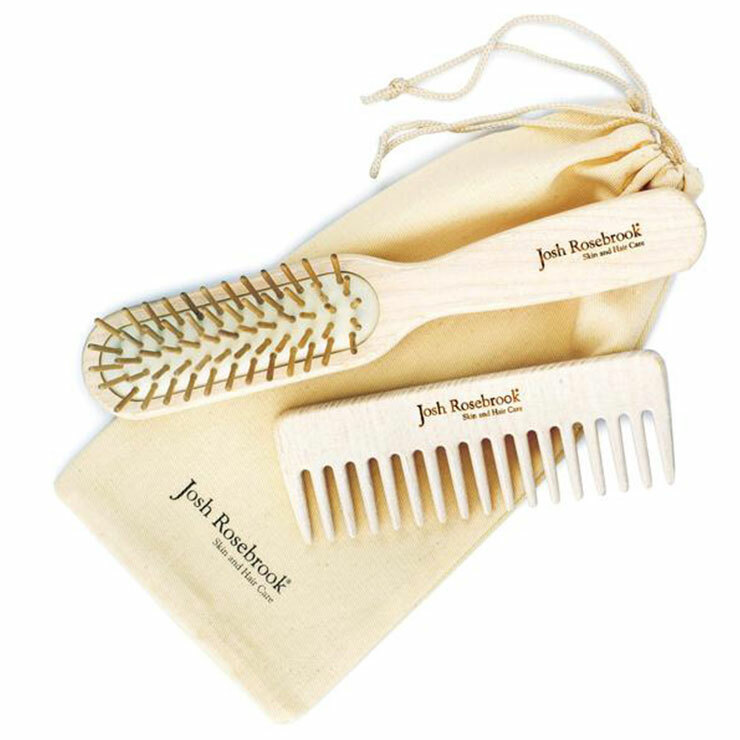 Josh Rosebrook Skin & Haircare Hair Tools care for hair in the gentlest way for your scalp and the environment. These beautiful, hand crafted tools are made from Ash wood from France and Hornbeam wood pins, and are biodegradable and cruelty-free. Designed for all hair types and textures, the delicate pins massage the scalp and follicles to improve the appearance of vibrant, healthy hair. The wood picks up oils from hair and scalp for a fresh and balanced appearance. Caucciù plant brush pad cuts down on static and flyaways. 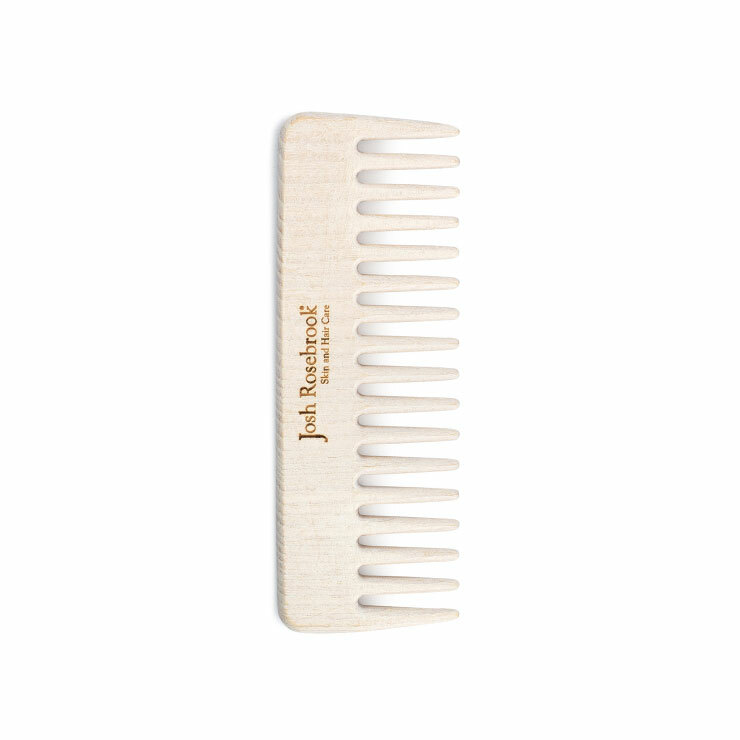 Use the hair comb and brush to smooth hair and work oils evenly throughout. 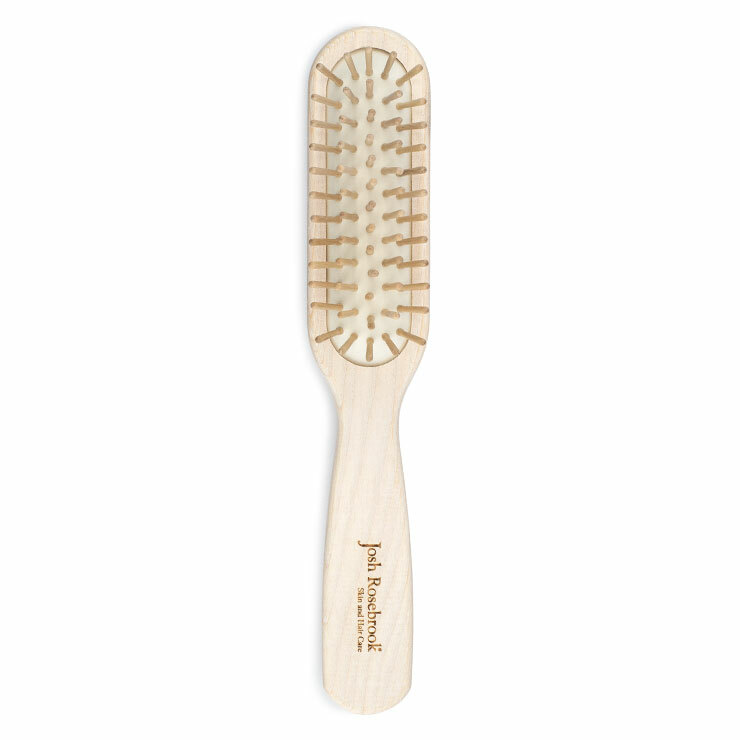 Give yourself a scalp massage with the brush for an exhilarating sensation that gives hair a revitalized look. Tools may be washed with soap and water. 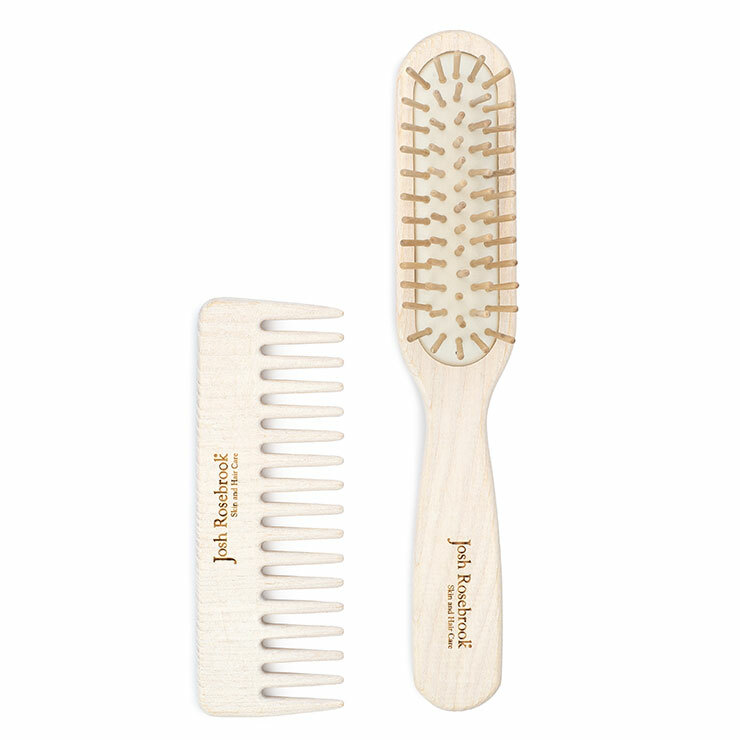 100% FSC® Certified Ash Wood, Hornbeam Wood Pins, and Caucciù Plant Brush Pad.